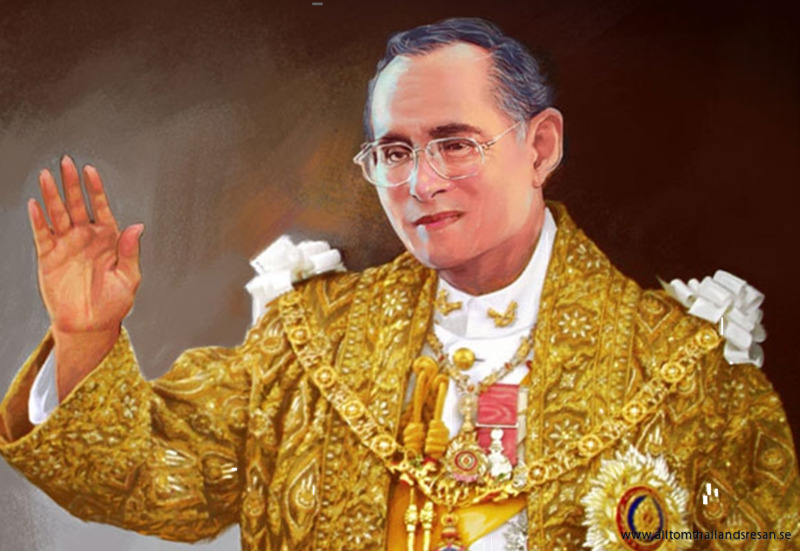 Thailand's King Bhumibol was born December 5, 1927 in the United States, where his father was studying medicine at Harvard University. According to the succession rules he would not become king, but after his brother King Ananda had been killed 1946 Bhumibol ascended the throne. He was crowned 5 May 1950 after finishing his studies in Europe and more specifically in Switzerland. King Bhumibol's reign after Rama V who was highly respected, both as a symbol and as a person. In 1996, the king 50th anniversary on the throne which was celebrated in the traditional manner with processions, among others, throughout his reign, he and Queen Sirikit as Thailand's queen named traveled extensively in Thailand to experience and to see for themselves which needs the Thai people had. Those trips opened the eyes on the royal couple and many projects have been started for the identified needs. He have tried to get the mountain people to stop the opium cultivation and instead switch to other crops. Through his influence, he have made sure that roads been built and that there have been seeds to plant and last but not least he made sure that the mountain peoples crops could be sold. Although Thailand is a constitutional monarchy, the king had great political power until 2007, but it has weakened a lot in the last years. King Bhumibol is very well liked by the residents of Thailand, please respect it! Never speak badly about him, don’t wrinkle the money in your pocket. That is seen as disrespectful.